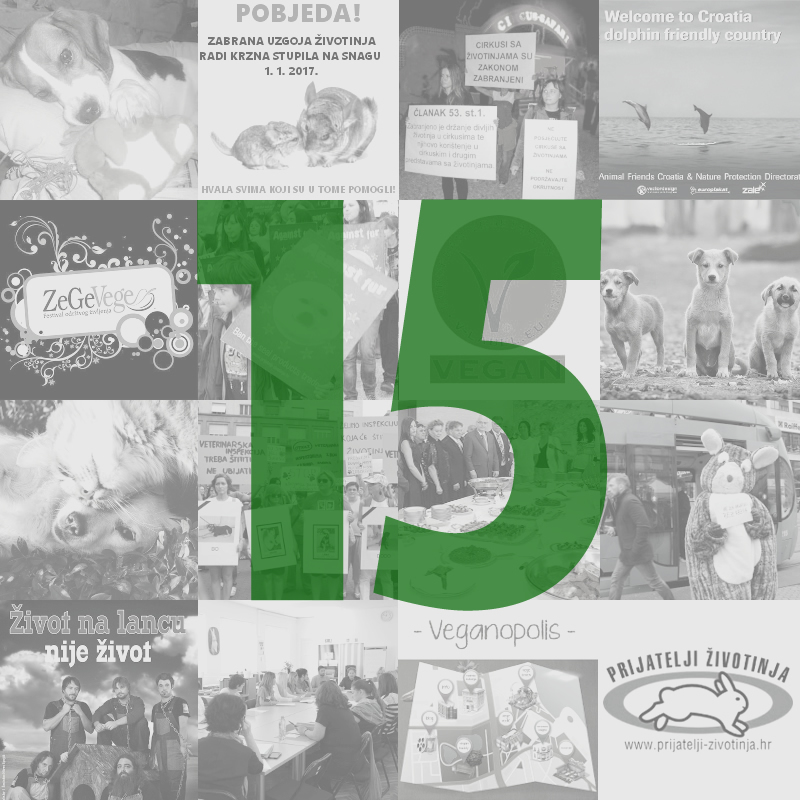 The year in Croatia started with the fur farming ban and continued with the announcement of a ban on killing abandoned dogs in shelters. Animal Friends Croatia continues to draw the public's attention to the most vulnerable of animals -- those invisible to most. On billboards in Zagreb, passers-by can see a poignant photograph of a calf by the famous Canadian photographer Jo-Anne McArthur, accompanied by the message "For Those Who Can't Speak For Themselves." During the past 15 years, Animal Friends Croatia has organized various performances, public actions, petitions, and other, less publicly visible ways of fighting for animal protection and animal rights. Due to numerous and urgent activities, the past 15 years of the Association have gone by quickly, but nonetheless busily. What the photographer McArthur, Animal Friends Croatia, and other activists for animal rights have in common is the persistence to fight against the socially and culturally conditioned insensitivity towards animals, whom most people see as food. Depreciating animals and reducing them to objects leads to violence, which is particularly visible in slaughterhouses, on farms, amongst breeders, etc. Activists around the world remind us that our everyday life is filled with routine cruelty towards animals, but we do not have to support it with our lifestyle and dietary choices. Fighting for animal rights is not an easy task. The photographer Jo-Anne McArthur, whose photograph promotes veganism, has developed post-traumatic stress disorder after her spending time with exploited animals in order to document their suffering. This is a common occurrence among dedicated activists and those who do not turn a blind eye to violence against animals. However, thanks to her and all others who have chosen a life without animal abuse by going vegan, millions of lives have been saved. 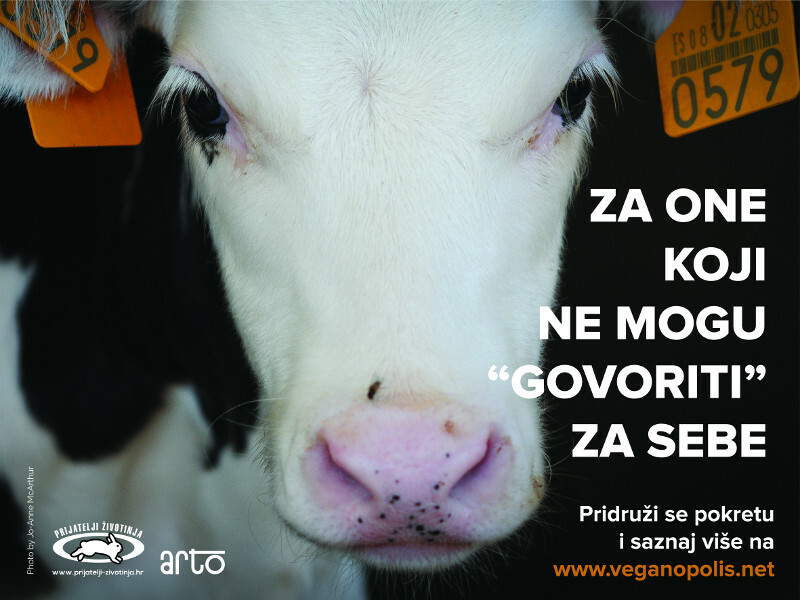 Animal Friends Croatia would like to invite all those who want to do something good for animals, other people, the environment, and their own health to visit www.veganopolis.net and accept the popular Veggie Challenge. As a non-profit, Animal Friends are struggling to keep up the good work for animals and the planet this year. You can support our work by volunteering, becoming a member, or donating.